An award-winning book from the author of Jeremy Fink and the Meaning of Life and The Candymakers for fans for of Wonder and Counting by Sevens. Thirteen-year-old Mia Winchell is far from ordinary: she suffers from a rare condition called synesthesia, the mingling of perceptions whereby a person can see sounds, smell colors, or taste shapes. But because she has kept it a secret from everyone, she appears to be the most normal kid in her family. Her younger brother Zack keeps a chart of all the McDonald's hamburgers he's eaten in his lifetime. Her older sister Beth dyes her hair a different color every week and might be a witch. When trouble in the school finally convinces Mia to reveal her secret, she feels like a freak; and as she embarks on an intense journey of self-discovery, her family and friends have trouble relating to her. By the time she realizes she has isolated herself from all the people who care about her, it is almost too late. Mia has to lose something very special in order to understand and appreciate her special gift in this coming-of-age novel. 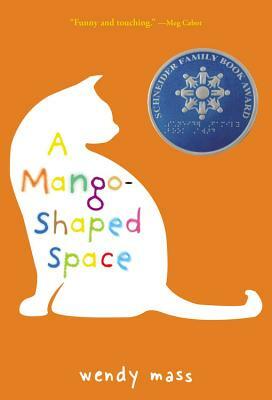 Wendy Mass won the ALA Schneider Family Book Award for her first young readers' novel, A Mango-Shaped Space, about a girl with the fascinating condition synesthesia. In Jeremy Fink and the Meaning of Life, a boy embarks on a life-changing journey. InEvery Soul a Star, three very different kids are brought together by a solar eclipse; and in The Candymakers, four kids enter the contest of a lifetime. The Space Taxi series sends a boy and a talking cat on adventures to distant planets, and the Willow Falls books (beginning with 11 Birthdays) add a dash of magic into a small town. Wendy lives in New Jersey with her family.